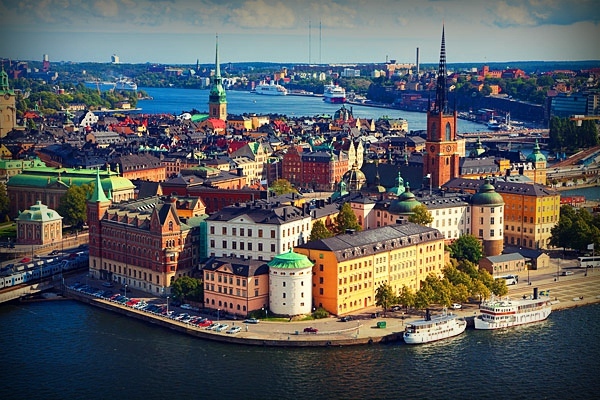 Earlier this month, Sweden hit the headlines by announcing its enforcement of six hour work days. A bold move there Sweden, but definitely a welcome first-mover. The country really has shown how much it cares for its people by making this move. The idea behind this enforcement is to enable people to get more work done is less time (read increase productivity) whilst leaving them with enough time and energy in the day to pursue their personal life. I absolutely stand by it. I have always thought that people have been made to or think they have to invest 90% of their day in work. But why? Do relationships not matter? Does putting effort in a hobby or a non-work creative pursuit not matter? Who made it mandatory to work from 9AM to 5PM? And that by the way are not the standard work hours. In India at least. Maximum companies have a 9AM start time which means your day begins at say, 7AM when you wake up, get ready and probably get some breakfast into your system. The work day by all means does not end at 5PM. 6PM is considered the official end time. But how many people leave at 6PM promptly? I have had eye balls follow me when I close shop at 6. Why don't people leave at 6 on the dot? It's that culture again that has been long set of staying back an extra hour or two to either impress a boss or well, in an attempt to try and complete work. With the former scenario, what a sorry state of affairs. People should work for themselves, to achieve their goals and in turn their company's goals, and not to please a supervisor. In the latter scenario, where people perhaps stay back to finish up work - my take on this is that work is endless, you'll never be completely done. You need to consciously say, I'm done for today. The other reason work is not completed within normal work hours is that people get too distracted during the day - morning tea breaks, long lunch hours, endless meetings and evening gossip over tea. While these are all welcome distractions to brighten a dull long day in office, less time is then invested in getting actual work done. This is one of the reasons that prompted Sweden to introduce shorter working hours - so that people waste less time in unproductive engagements during the day, focus those 6 hours on simply getting work done, and still have the rest of the day and energy to build on a personal life. Here in India, we aren't even talking eight hour work days. On an average, we find people here working from 9AM till at least 7PM. That's 10 hours right there for you. Also please account for the additional commuting time to and fro work. And then there are those annoying and tremendously unproductive working Saturdays. Some companies have half day Saturdays, some have full working Saturdays, some have alternate working Saturdays and some have mandatory all working Saturdays. Net net a person is left with really no time or energy to invest in relationships with family and friends let alone in keeping alive a hobby. How unfair is that? There is no sense of work-life balance. And what's worse is I don't think people really understand the importance of work-life balance or even care enough to make a noise about it. I took up a job a few years ago with a company where we were made to work 9 hours on all Saturdays. It was painful, exhausting, mundane and life became extremely military. To my luck, within three months of my joining, the company declared all weekends off. I really was lucky I didn't have to do that for more than 3 months. I wouldn't have lasted long there. While I really admire that countries like Sweden are making advanced and bold steps to achieve higher productivity and happy people, we in India are webbed in archaic work traditions. We've come to think of it as a norm that work is important and even more important than anything else in life. Whilst as employees we go from end to end in achieving company goals, how many companies stand by your bedside when you're ill or your family member is? We need to understand that the relationship between a company and its workforce has to be one of give and take and mutual respect. But there's been a skewed relationship for far too long. We shouldn't accept that. To start of, leave promptly at 6PM. I do. Think of a smart response when a sly colleague questions you of leaving office 'so soon'. With the rise in MNCs and independent startups in the country, we can only hope these players are the ones who start taking charge and enforce progressive measures to ensure work-life balance for their employees. The rest can then follow. Meanwhile, any tips on how one can apply for work visa in Sweden?